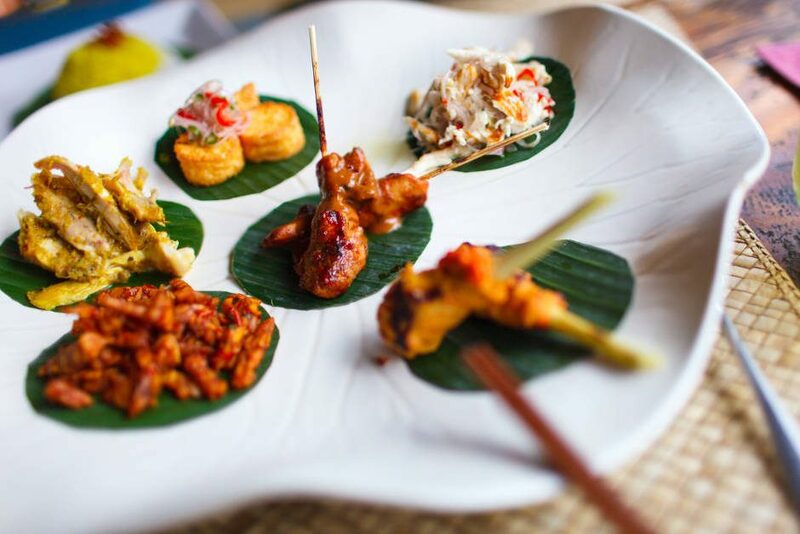 Bali’s traditional cuisine draws on indigenous staples, pan-Indonesian influences, Indian – and even Chinese -flavours that have moved with populations over time. 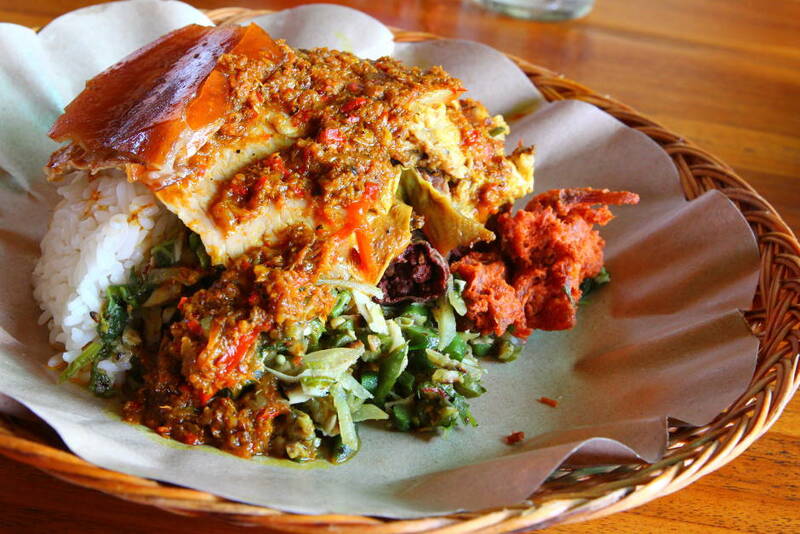 With the majority of Bali’s people predominantly Hindu, the local cuisine differs from the rest of the archipelago. Much of Bali’s native food culture springs from their profound spirituality and worship of the gods, with some dishes prepared specifically for ceremonies and to mark important communal celebrations. Of course, all this means that those visiting Bali will experience something on the plate they won’t find anywhere else on earth. Rather unique to Indonesia, given the predominantly Muslim population, Bali can claim one of the best suckling pig recipes anywhere. Babu Guling is a small pig roasted to perfection and flavoured with an aromatic spice paste which includes shallots, ginger, garlic, lemongrass and turmeric. Usually served with Lawar – a delicately spiced salad made with green beans, fresh coconut, coconut milk, palm sugar and lime leaves – and rice, Babi Guling is often enjoyed communally during big celebrations, such as Galungan, or weddings. For tourists, there are a wealth of different warungs (restaurants) that serve Babi Guling almost every day of the week and although it may be anathema to vegetarians it makes for one tasty meal. 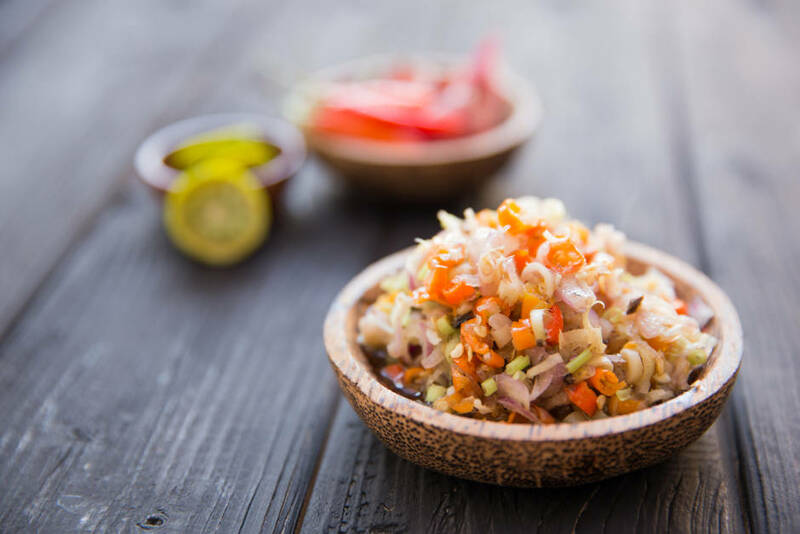 Sambal (a spicy relish) is a staple of Indonesian cuisine, and Bali’s Sambal Matah is a much more rustic version compared to its culinary cousins on neighbouring islands. Consisting of lemongrass, chilli, garlic kaffir lime leaves and the generous use of roasted shrimp paste, Sambal Matah makes for a fresh and fiery condiment that goes perfectly with chicken or fish dishes. 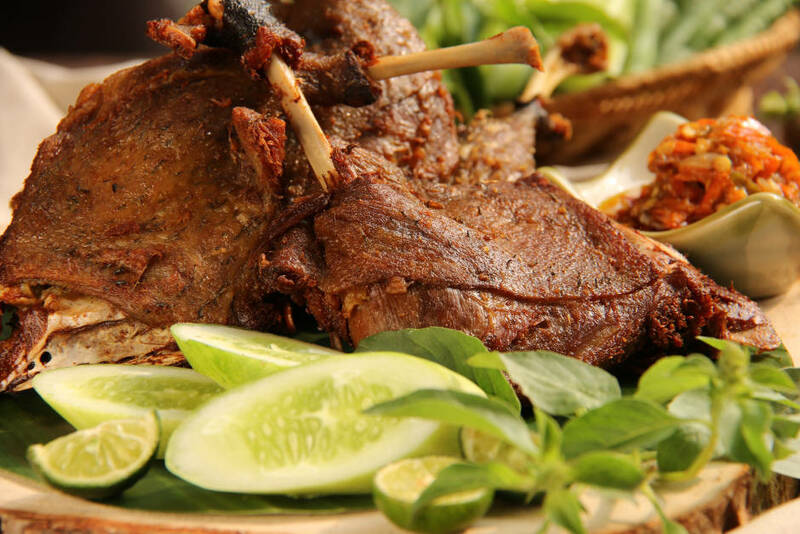 Bali’s other famous meat dish is Bebek – duck. Bebek Betutu consists of a succulent duck pasted liberally in Betutu (a spice mix using garlic, shallots, chilli, galangal, ginger, turmeric, lemongrass, coriander seeds, palm sugar and shrimp paste) then grilled to perfection. Typically eaten by locals during special occasions or ceremonies, the dish is also a staple of Balinese-style restaurants island-wide. 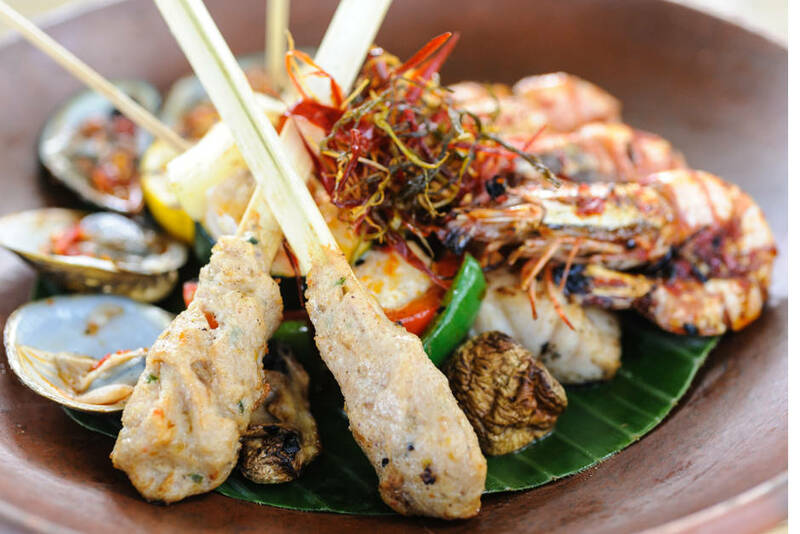 A distinctly Balinese take on Satay, Sate Lilit is made from minced fish, chicken, pork, or beef wrapped around sugarcane or lemongrass and grilled over charcoal. The meat is delicately spiced, with the finished aromatic sticks served up on a banana leaf.